Online ordering menu for Kelly's Tandoori Grill. 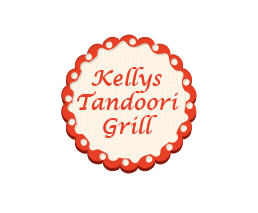 Come to Kelly's Tandoori Grill on Chester Avenue to try our Indian and American cuisine. We serve Caesar Salad with Tandoori Chicken, Shish Kabab Wrap, and Fish Pakoras. We also serve Spicy Beef Burrito and Fish Tacos. We're located at the corner of Chester Avenue and 4th Street near Beale Park. We're not far from Vista High School and Lowell Park. Order online for carryout or delivery!